Gwen Stefani and Blake Shelton aren't rushing to change their relationship status any time soon, a source tells ET. The couple has been dating since November 2015, and appear more in love than ever these days. But according to our source, heading down the aisle isn't a big priority for the two. Both stars were coming off divorces when they met, Stefani to Bush frontman Gavin Rossdale, and Shelton to fellow country star Miranda Lambert. "There is no reason for them to rush into a marriage so they aren’t," the source says. "Both of them are happy and content with where their relationship is right now." And their bond is stronger than ever, the source notes. "They are on cloud nine for each other," the source shares. "They are perfect for each other. They know they have found their true soulmate." And clearly, Stefani’s three sons with Rossdale -- 11-year-old Kingston, 9-year-old Zuma and 4-year-old Apollo -- enjoy spending quality time with Shelton. The source says the couple and Stefani’s kids spend most of their time at home in Los Angeles, but they also enjoy trips outside of California including to Shelton’s home state of Oklahoma. "They like him a great deal and see him as a father figure," the source says of Shelton's bond with Stefani's kids. 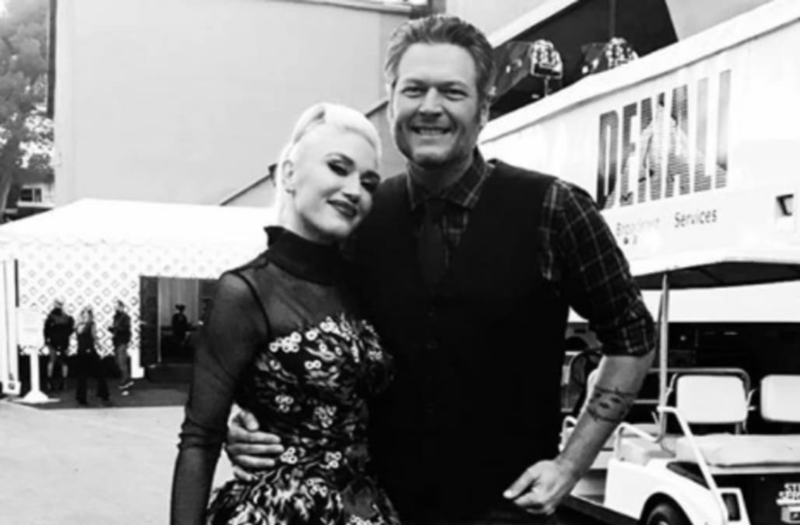 "Blake is very understanding that Gwen’s kids come first." As for Stefani and Rossdale, the source shares, "they are very cordial and make co-parenting work." Recently, 48-year-old Stefani and 41-year-old Shelton have been spending time together on the road for Shelton's Country Music Freaks Tour. "She is very supportive of his career and vice versa," the source says, adding, "They support each other in all that they do. They’re almost always by each other’s side."